In October we celebrate harvest so what better topic for our monthly challenge than food and our choices in that regard. We are going to keep it simple as it is such a broad and far reaching subject. We are faced with so many “ethical” labels – organic, local, unwrapped, sustainably sourced, free range, GM free, MSC, Fairtrade – it is a mind boggling array of produce, amazingly few of which deliver everything we might expect. Stewardship in food encompasses the way farming is carried out (environmental standards, animal and human welfare); the way foodstuffs are transported and how far (food miles) and the way they are sold to us (packaging and more packaging); not to mention our health (nutrients, additives). So this month we’re proposing to just focus on meat and apples, for starters. Because of the amount of water and feed required and because of their emissions of greenhouse gases, animals reared for meat have a disproportionately high environmental impact for the amount of energy and nutrition they provide us with compared with grains and vegetables. For this reason, try to limit your intake of red meat to twice a week and / or try one meat free day (Meat Free Mondays?) a week. It’s also quite a healthy option. Pick the fruit in your garden, and buy British – this reduces your food miles hence your carbon footprint and can help return to a rhythm of eating in season. 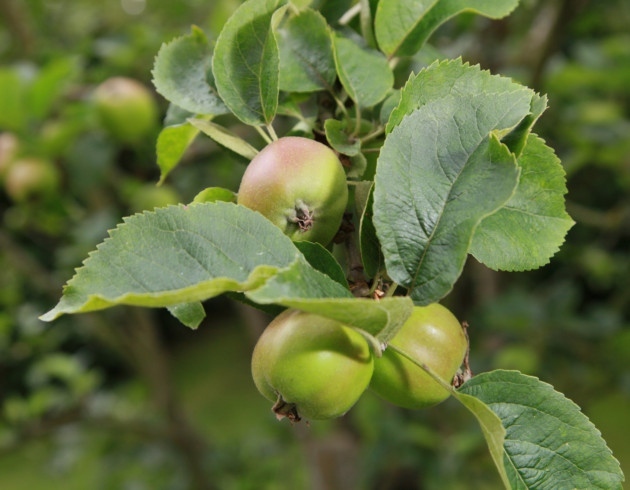 Britain has an amazing range of varieties, and we have some local varieties such as Withington Welters that make some of the best apple crumble! If you don’t know what to do with your apples, there are also excellent chutney recipes, compotes, or why not take them to one of the apple pressing events, or to the Moss Cider Project in South Manchester – you will be paid back in cider as well as helping a social enterprise. And if you need any volunteers to pick your fruit, just give us a shout! We also have community orchards at Gravel Lane’s “The Temp”, Meriton Road Park and at the Carrs. The only sustainable way to farm is organically and if everyone put into practice June’s challenge of not wasting on average 30% produce nationally, it would in fact be possible for all our food production to be carried out in this way. But it is a dilemma when organic produce is often wrapped in plastic, or comes from far flung places, so it’s important for you to make informed choices and prioritise what is important to you. I hope that this has given you a “taster” of the issues at stake – if you’re curious to do more about your food shopping, sustainably sourced (MSC) fish would be an equally important next step and the principles outlined above should help you with other produce.